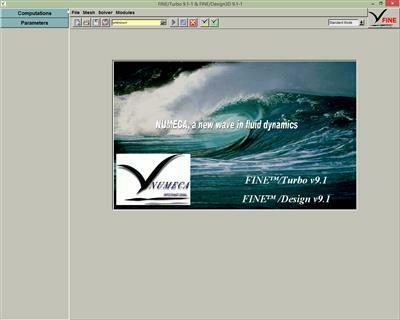 NUMECA International, leading software developer and solution provider for fluid dynamics simulations, has released an update to FINE/Turbo 9.1, the latest version of the high accuracy multi-block structured Navier-Stokes CFD software dedicated to internal, multistage rotating and turbomachinery flow simulations. - AutoGrid5: Automated grid generator for turbomachinery configuration, delivers the highest quality structured meshes with minimum user input. Its Wizard mode handles all types of rotating machinery configurations and complexities. - FINE/Turbo flow solver: 3D Navier-Stokes flow solver, recognized as the fastest and most accurate for turbomachinery configurations. Acceleration of several orders of magnitude is achieved thanks to the CPUBooster™ technique, NLH approach and HPC scalability. 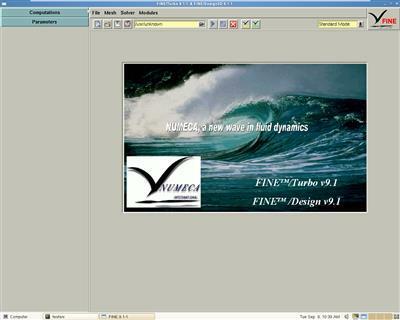 - CFView: Advanced post-processing tool, provides dedicated flow visualization and analysis outputs in an easy-to-use turbomachinery-oriented mode.